Diet: Recommendations for Eating Better at the Airport. The temptation to eat junk food while waiting to board a flight can be overwhelming. The Academy of Nutrition and Dietetics recommends the following “healthier” options when you’re stuck in an airport terminal: nuts, nutrition bars, a sandwich on whole-grain bread with lean meat, veggies topped with mustard, salad topped with a lean protein, a cup of vegetable soup (preferably easy on the salt), a package of cut vegetables, or a fruit cup. Should you get the new smartphone case Wello by Azoi to monitor your health? New Smartphone Case Measures Vital Signs. Azoi, an American technology company, has just announced a smartphone case that measures blood pressure, heart rate, temperature, and blood oxygen levels. This new health tracker is called Wello and works by using several sensors located in the case that attaches to your smartphone. Wello can also connect to other health and fitness devices, including pedometers and sleep monitors. Hamish Patel, CEO and founder of Azoi, says that Wello can help individuals monitor their vital signs, possibly allowing earlier detection of heart disease and other health problems. If you do not want your children to start smoking, the information you are about to read will be extremely important to you. A new study from the University of California, San Francisco (UCSF) found that e-cigarettes may actually increase the chance that teenagers start smoking conventional cigarettes, possibly leading to nicotine addiction. This study completely contradicts the claims (and marketing promotion) that e-cigarettes are a good way to quit. The study, published in JAMA Pediatrics, found that adolescents who used e-cigarette devices were more likely to smoke cigarettes and less likely to quit smoking. The study of nearly 40,000 youth around the country also found that e-cigarette use among middle and high school students doubled between 2011 and 2012, from 3.1 percent to 6.5 percent. The study found that not only were e-cigarettes associated with a greater probability of progressing from just trying cigarettes to becoming a regular smoker, teens who smoked both e-cigarettes and conventional cigarettes smoked more conventional cigarettes per day than non-e-cigarette users. A previous study of 75,000 South Korean adolescents published a year ago found similar results. This comes on a surge in popularity of e-cigarettes, most likely due to heavy marketing that makes them look cool. This is reminiscent of old tobacco cigarette ads from decades ago that used celebrities, spokespeople, and even doctors to market their addictive and deadly product. “It looks to me like the wild west marketing of e-cigarettes is not only encouraging youth to smoke them, but also it is promoting regular cigarette smoking among youth,” says senior author Dr. Stanton A. Glantz, UCSF Professor of Medicine and Director of the Center for Tobacco Control Research and Education. E-cigarettes, or electronic cigarettes or ENDS (electronic nicotine delivery systems), are devices whose function is to vaporize and deliver a chemical mixture typically composed of nicotine, propylene glycol, and other chemicals (although some products claim to contain no nicotine) to the user’s lungs. A number of ENDS are offered in flavors that can be particularly attractive to adolescents. Electronic cigarettes are the most common type of ENDS. The manufacturers report that the cartridges typically contain between 6 and 24 mg of nicotine, but they can sometimes contain more than 100 mg. According to the World Health Organization (WHO): “The dose of delivered nicotine is also unknown. It is suspected that the delivered dose varies notably by product, which contains nicotine in various quantities and concentrations. Here’s Something Important if You Want to Help Someone Quit Smoking! 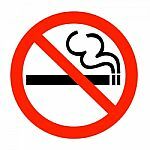 A study published in the American Journal of Health Promotion found that smokers who viewed ads featuring reasons to quit were substantially more likely to quit smoking after the four-week study period. However, ads with messages about how to quit smoking had no effect on an individual’s smoking behavior. After four weeks, smokers who viewed ads with messages featuring reasons to quit smoking were 6 to 10 times more likely to have quit smoking compared with smokers who viewed no ads. Smokers who watched the how-to-quit smoking ads did not change their habits at all. The success of the “why” ads is believed to be because those commercials were much more emotional in nature. They showed visible and graphic evidence of the devastating effects smoking can have on a person. Who Else Wants to Look 20 Years Older than They Are? Some expert marketers have said for a long time the way to get people to stop smoking is to show the cosmetic changes that result from the activity. For example, show beautiful people’s faces becoming ugly from smoking. They say it’s because most people are much more prone to act for cosmetic reasons than they are for health reasons. Sadly, these top marketers are probably correct. There is plenty of proof that smoking tobacco prematurely ages a smoker’s face. It causes deep lines and wrinkles that can make a person look DECADES older than they really are. The difference in aging and loss of youth and beauty is drastic. Ironically, most smokers start smoking to “be cool” and fit in. However, smoking actually steals a person’s good looks like a thief in the night. It seems quite obvious that good advertising cannot only influence people to start smoking… it can influence them to stop. Boring lectures about the health consequences will not change behavior, especially in teenagers. Good, emotional marketing will. But, it’s an uphill battle. People will do almost anything to be “cool” and some marketers will do anything to sell a product. Let’s hope the e-cigarette craze does not hook a new generation on conventional cigarettes. While beans are actually one of the healthiest carbs sources out there, loaded with fiber and protein, there’s actually one variety of beans you should be AVOIDING at all costs: Baked Beans. Fact is, manufacturers of commercial “baked beans” are completely RUINING this health food by piling in sugars galore along with a slew of artificial ingredients. Many brands are now even including high fructose corn syrup and numerous other corn ingredients, such as corn starch, in their products…bad news! For example, a 1-cup serving of canned “baked beans” contains more than 20 grams of ADDED sugar on average while the same 1-cup serving of regular kidney beans, pinto beans, red beans, etc, contains only a gram or two of naturally occurring sugar. BIG difference! That said, when buying beans and adding them to your diet (which is actually a great choice), make sure to avoid commercial “baked beans” products and instead go with bean products that don’t add all the extra junk. And there are even some natural packaged versions of the above listed beans and legumes that add a number of healthy and natural seasonings to spice them up a bit. The lesson here is to avoid “baked beans” in favor of the plain stuff (which you can then spice up at home) and when buying anything packaged, take a good, hard look at the ingredients and nutrition facts. If it’s got added sugar and artificial ingredients, skip it! Diet: Eating Too Much Protein in Middle-Age Could be Harmful.